It is in my wish list to try out some of Singapore’s finest restaurants – Iggy’s, Andre, Tippling Club, Les Amis, Guther’s and Garibaldi. 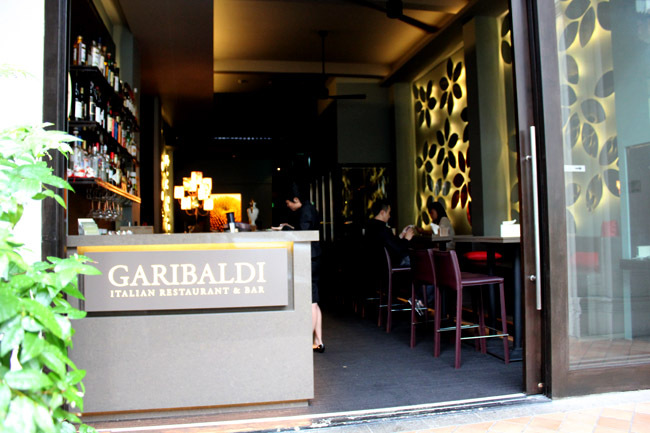 Garibaldi is considered one of Singapore’s most popular and respected Italian restaurant, being voted 7th best restaurant in Asia in 2003 by the Miele Guide. (Though it has somehow fallen off grace after being placed 7th in 2008/2009). Foods can range in the $100s and $200, and therefore I managed to try it during Restaurant Week for $55++. The usual set lunches (which I found out later) are at a more affordable $39++ though. 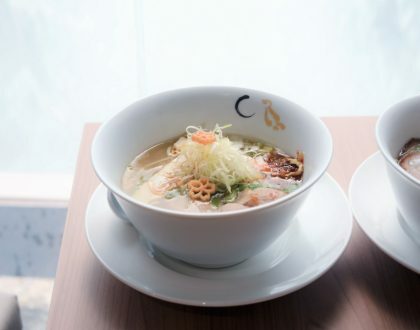 Located along the swanky Purvis Street which has the likes of Guther’s and Ying Thai, Garibaldi is stylish, modern and elegant at the same time. The décor is classy, not over the top with white table-clothed tables and lighted-box art pieces. The enticing menu is said to emphasize on authentic Italian cuisine prepared with the best ingredients imported directly from Italy. The executive chef Roberto Galetti is also recipient of Restaurateur of the Year 2009 (Regional) award. 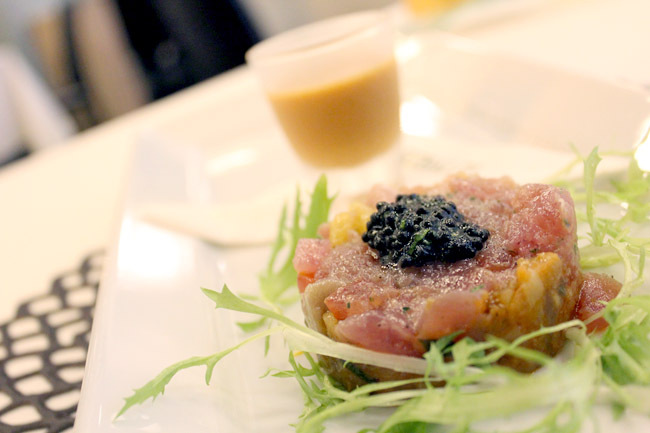 The starter – fresh tuna Tartare with black olive and smoked caviar, was an immediate charmer. 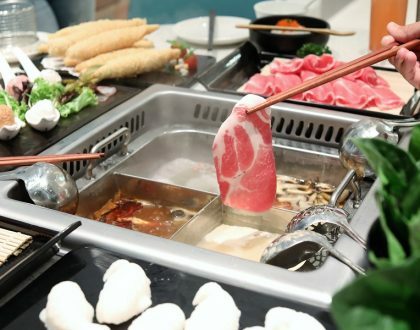 Without the usual fishy taste, it exults a sense of delicacy with its smooth texture, not being powering in taste. 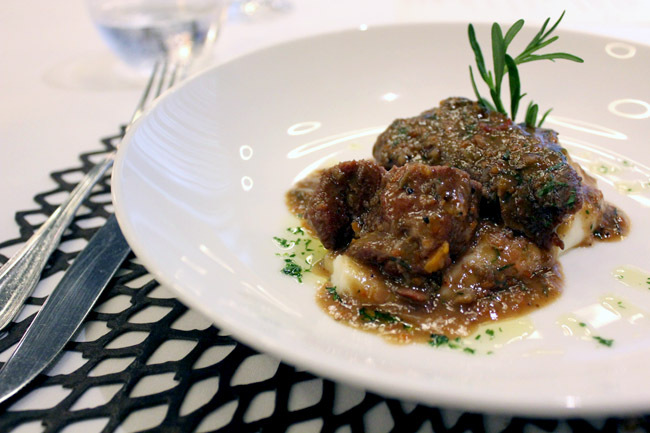 It is challenging to cook Veal Cheek which can go either too tough or disintegrated. Garibaldi manages to strike that balance. 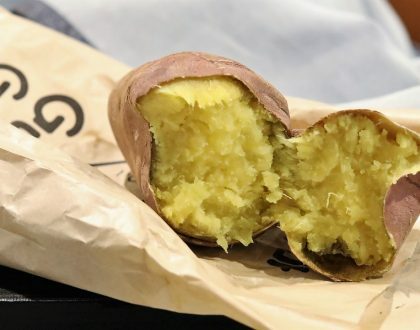 While you can still savour the layered feel of the meat, it almost melts in your mouth immediately, achieving a harmonious balance with the olive oil mashed potato. The Black Ink Thin Noodle with Codfish and Grey Mullet Roe was not too bad, but did not excite too much. 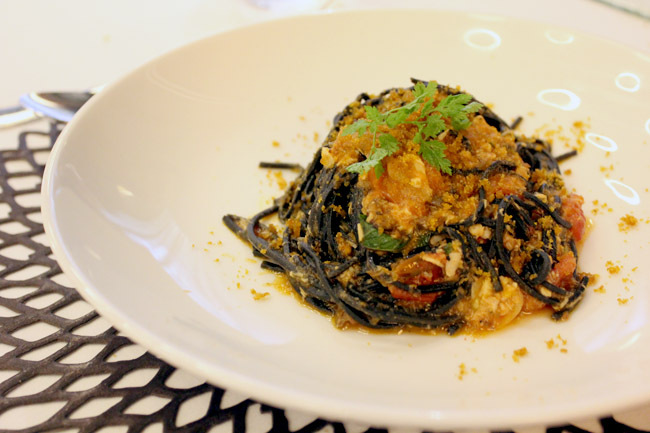 The pasta was evenly cooked, and the dish does not feel overly heavy. But it somehow lacked that wow factor. I had better. Strangely, the Garibaldi group with the popular Sweets Garibaldi under its chain did not impress with the dessert. 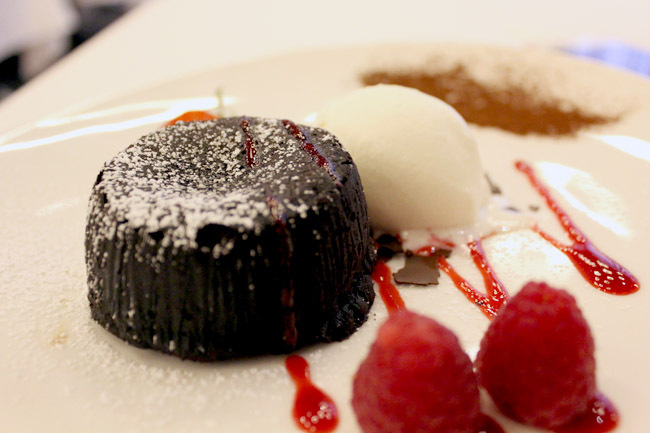 I could live with the Chocolate cake being slightly dense, rich and heavy. However, my anticipation for warm flowing chocolate sauce from the inside did not realise. 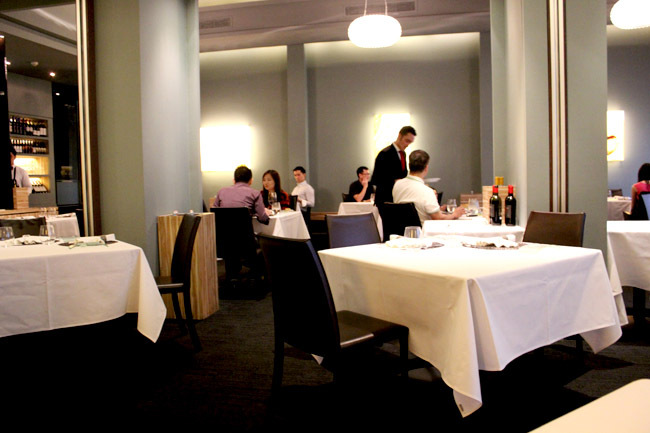 Overall, Garibaldi gave a memorable dining experience with fine tasting Italian food. Not sure if this constitute to the Top 20 in Asia, though service, was almost perfect.